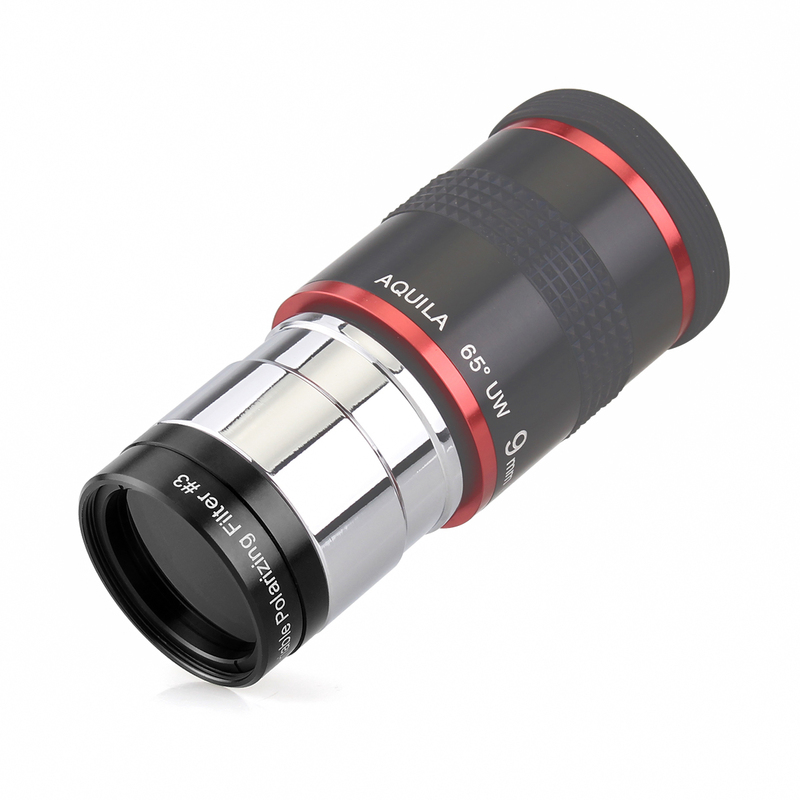 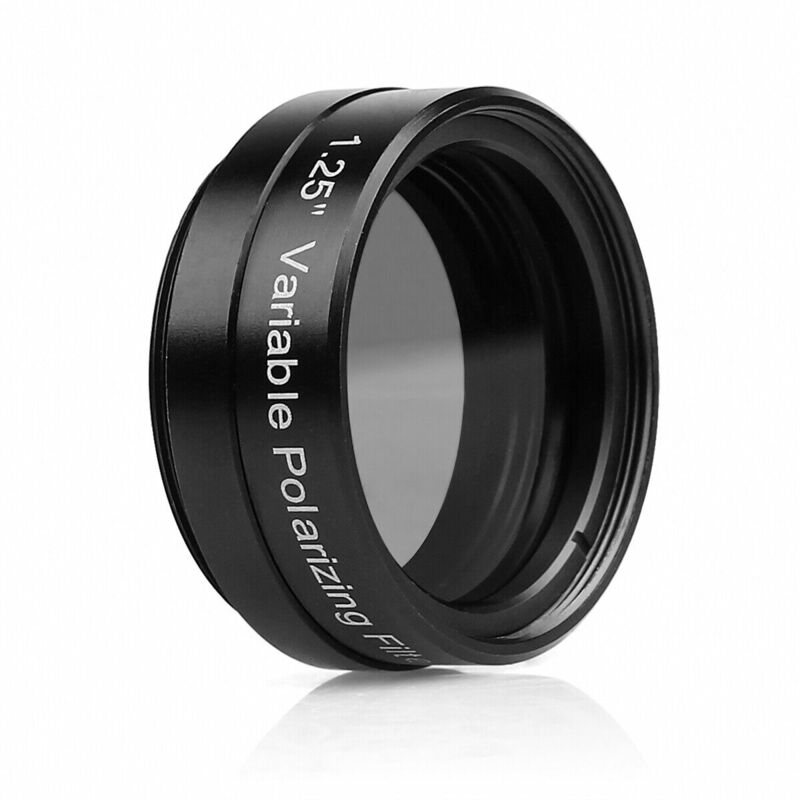 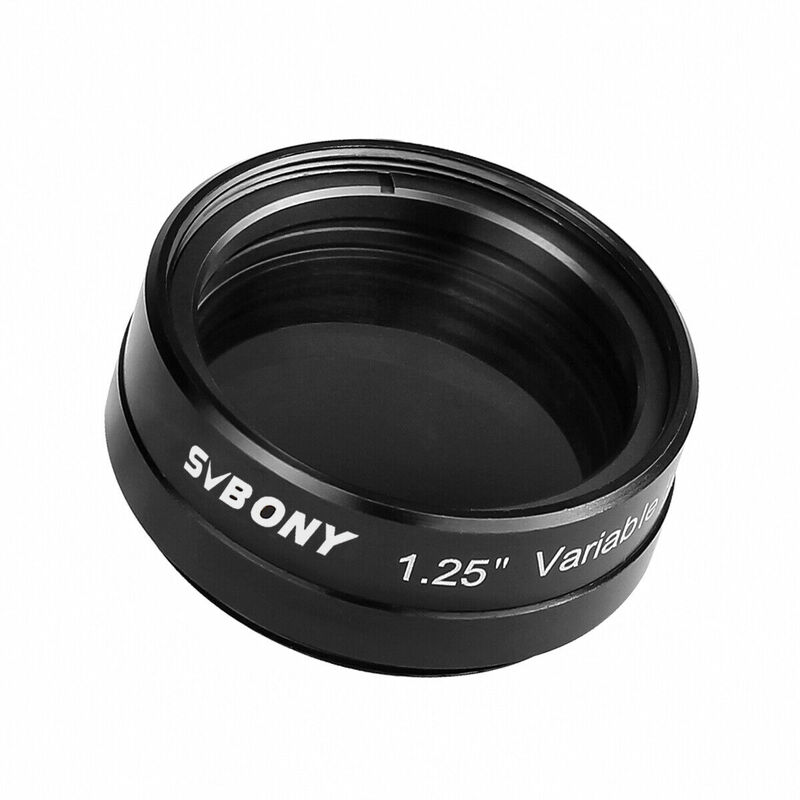 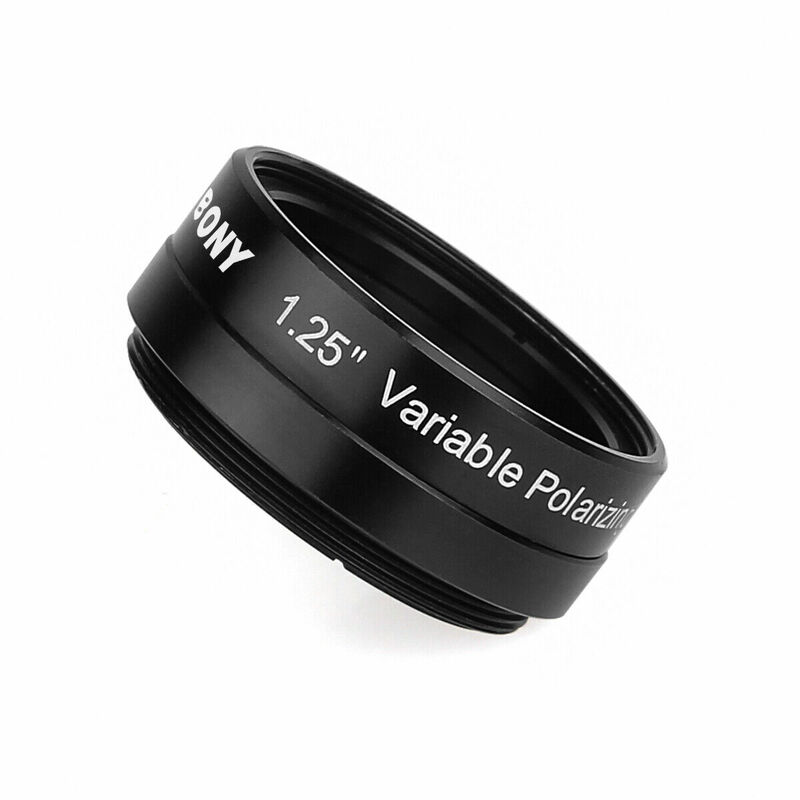 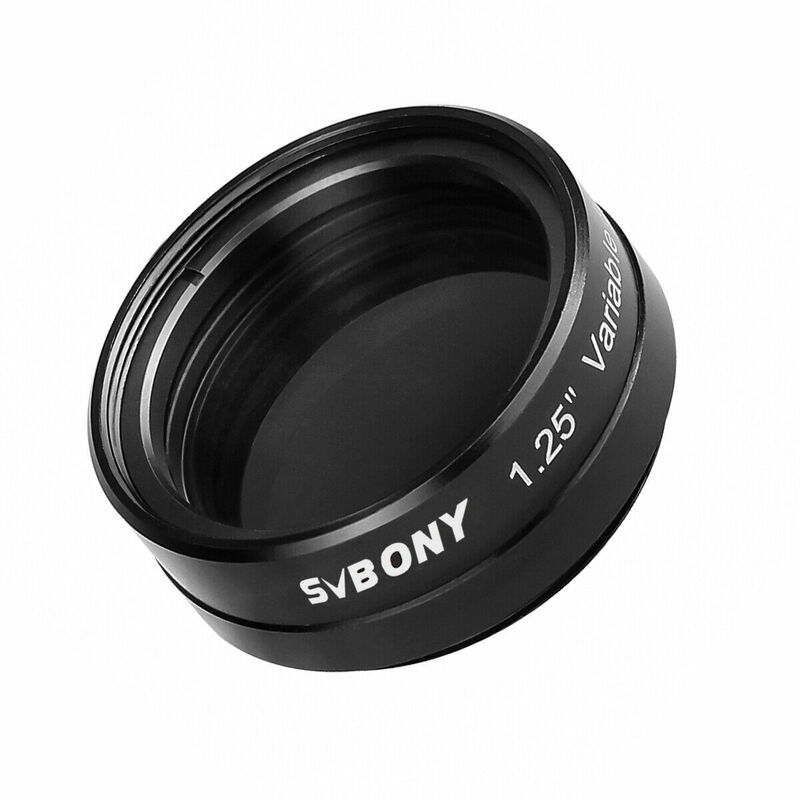 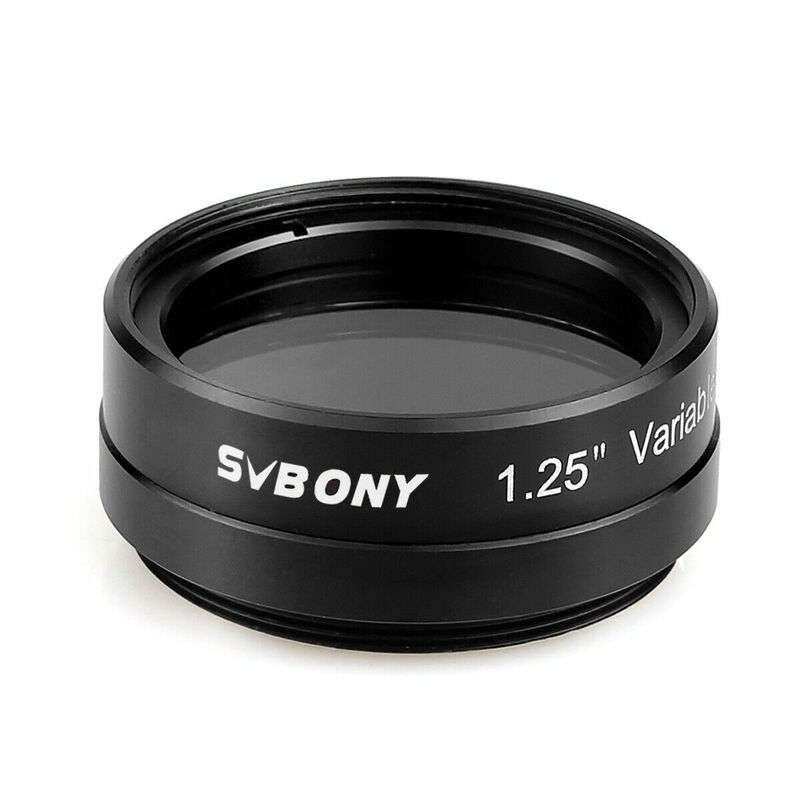 The Svoby1.25-Inch variable Polarizing filter acts like a dimmer switch for your telescope. 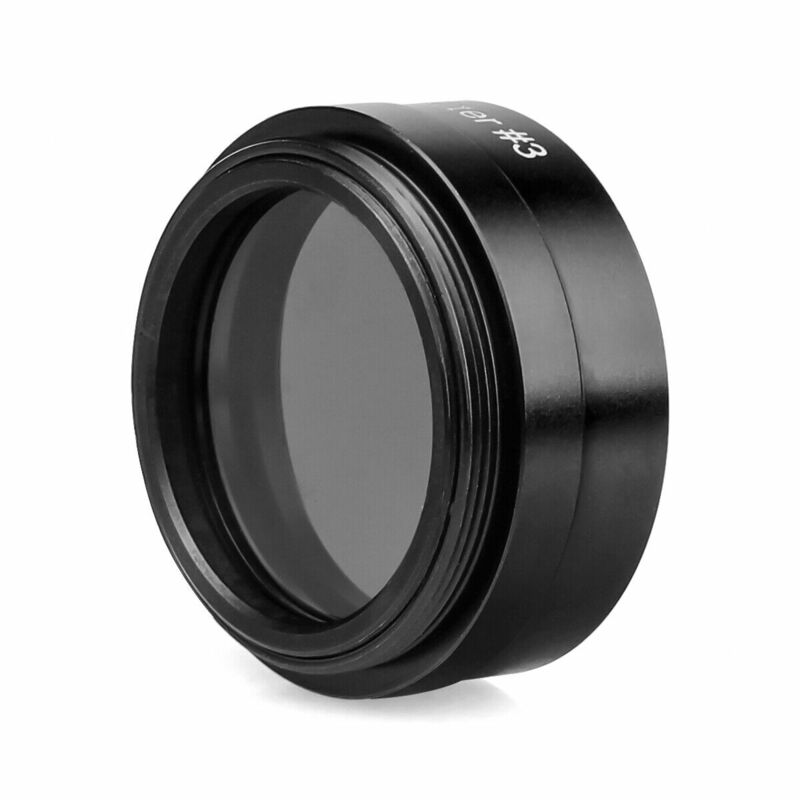 Adjust the amount of light transmission from 1% to 40% by rotating the filter housing. 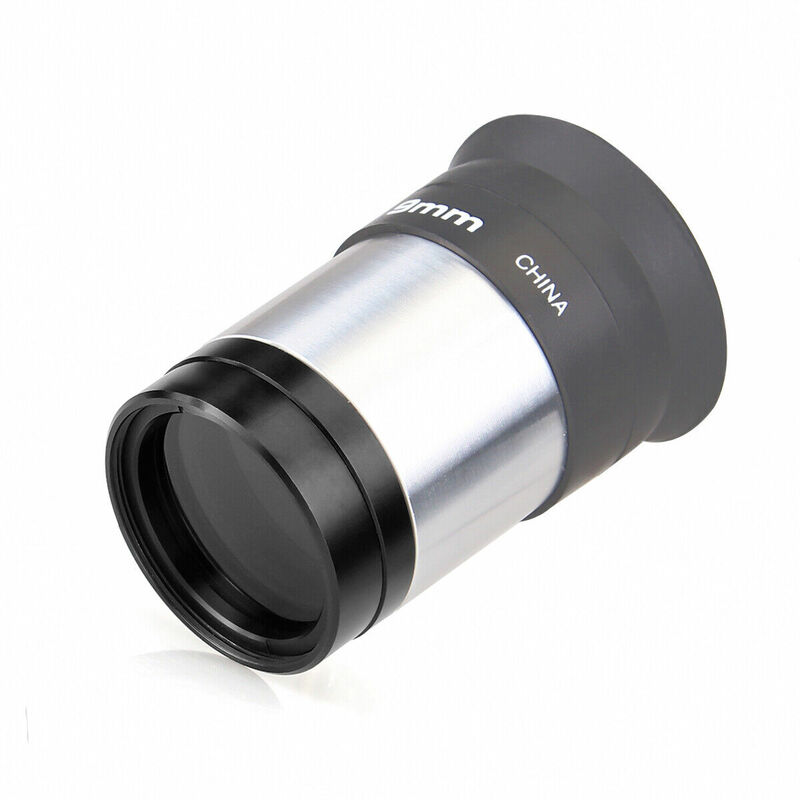 Reduces brightness of the Moon or planets for great clear viewing. 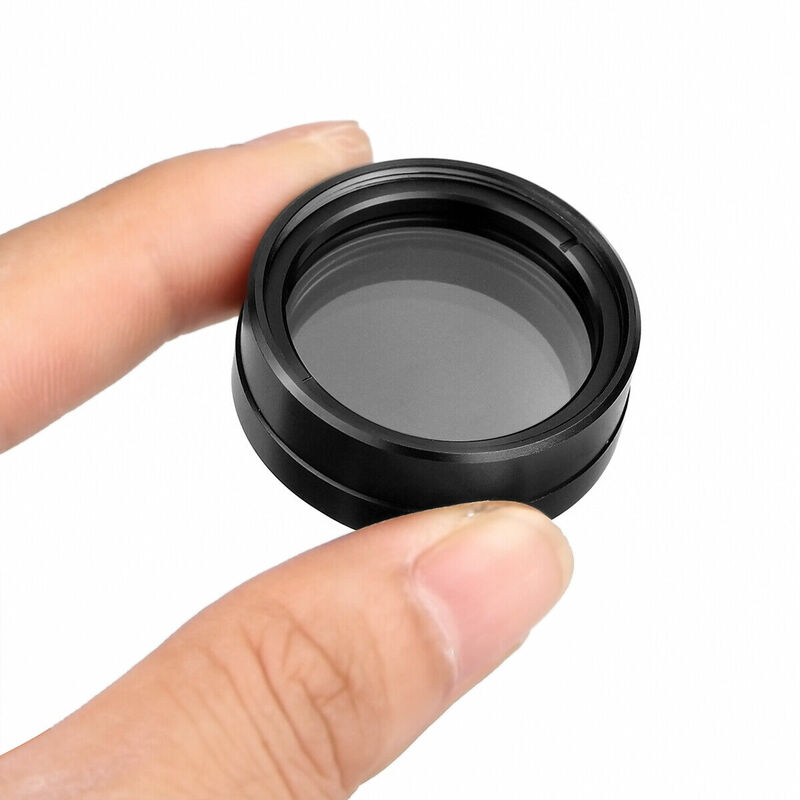 Finer control of the image brightness compared to a standard fixed-transmission telescope filter for optimal performance. 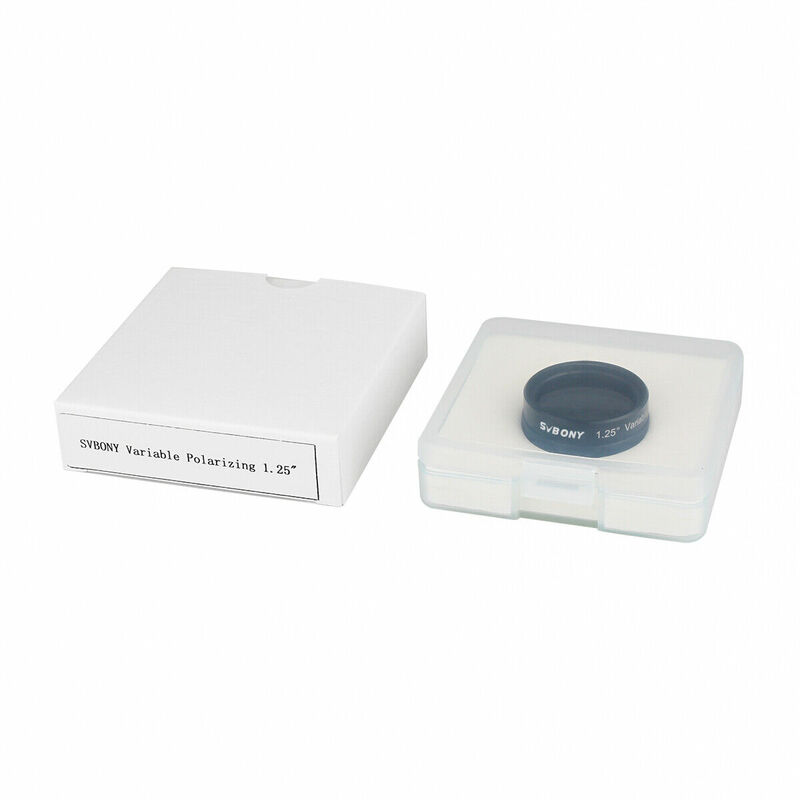 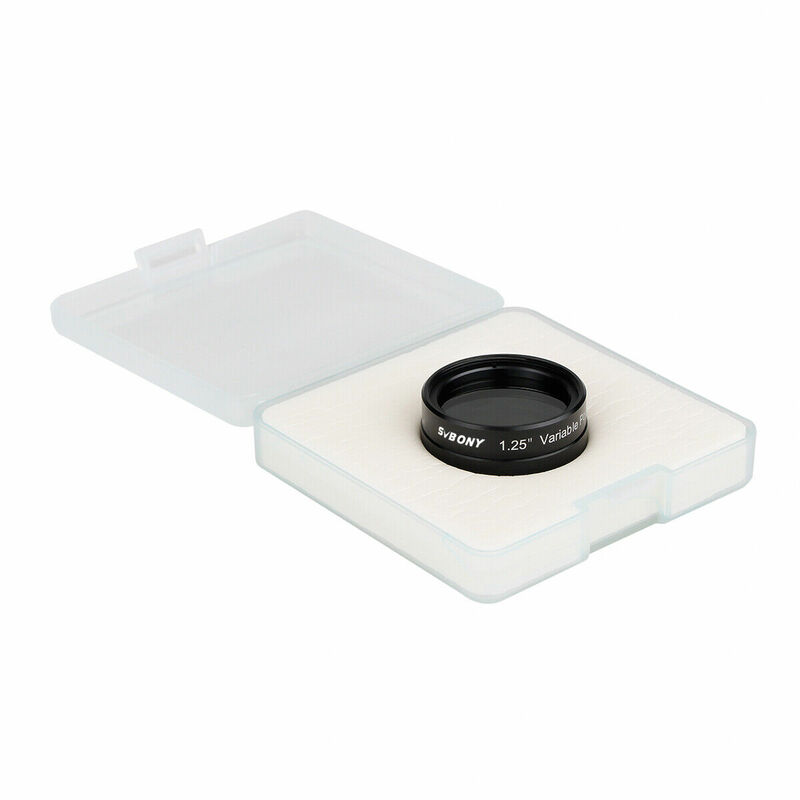 Fit standard sized 1.25" eyepieces and accessories. 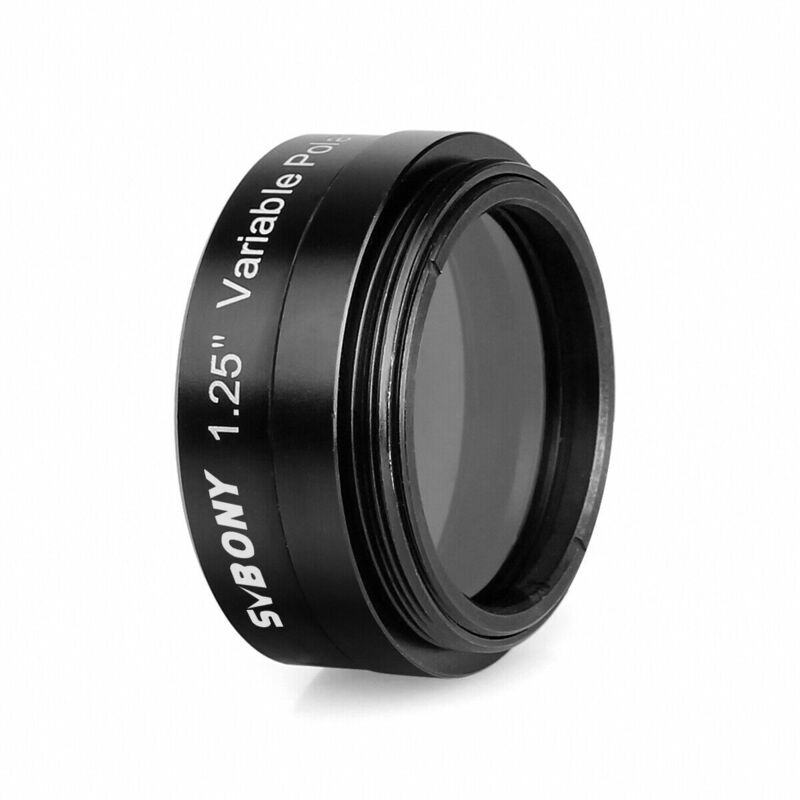 Premium Quality Metal Rim and Optics Glass Lens.